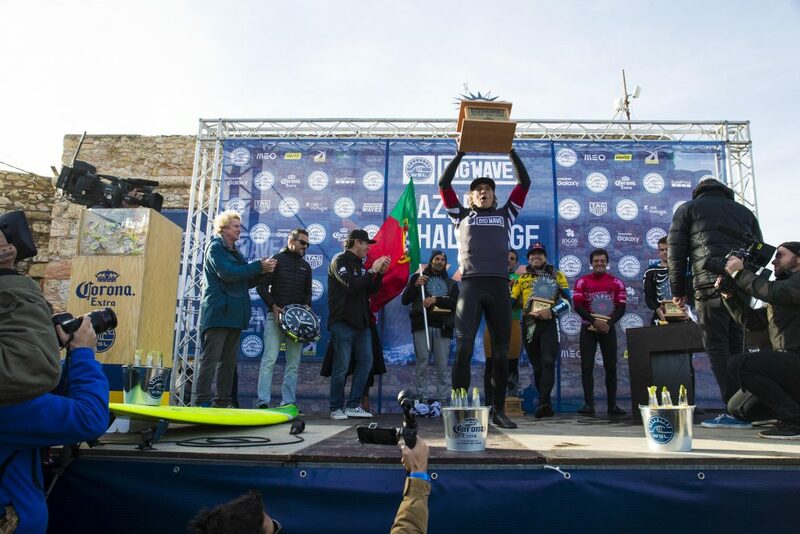 Jamie Mitchell Wins First-Ever WSL BWT Nazaré Challenge | EasternSurf.com | All East Coast. All The Time. 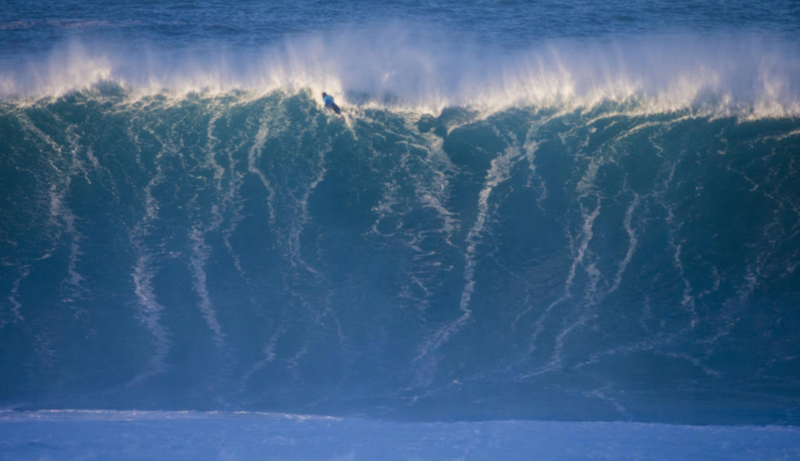 NAZARÉ, Portugal (Tuesday, December 20, 2016) – Jamie Mitchell (AUS) has claimed the World Surf League (WSL) Big Wave Tour (BWT) Nazaré Challenge today in historic fashion with the iconic Portuguese underwater canyon delivering massive 35-foot-plus waves for the world’s best big wave surfers. “I have never made a final before today so to win is unreal, I knew I was close to doing well in a whole event,” Mitchell stated. “To put together a whole contest from start to finish is actually more exciting than just the win today. I felt comfortable out there, my board felt amazing and that gave me a bunch of confidence.” A capacity crowd of big-wave enthusiasts gathered by the landmark lighthouse on the point looking down at the biggest waves ever paddled in Portugal. 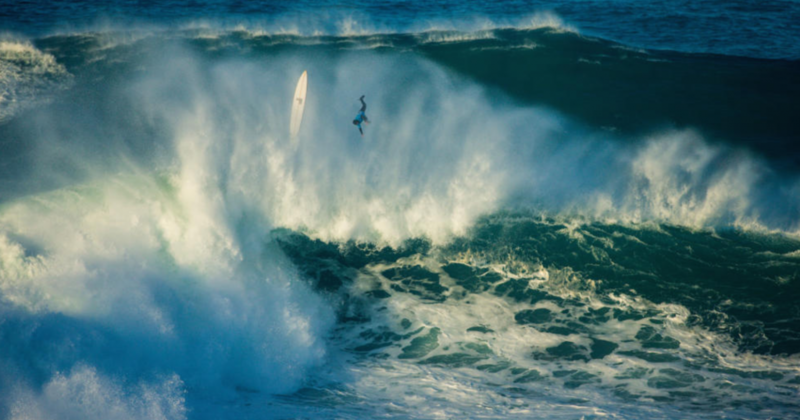 The 2016-2017 Big Wave season continues to deliver exciting action for the third event in Nazaré following the Puerto Escondido Challenge (won by Grant Baker) and the Pe’ahi Challenge (won by Billy Kemper) earlier this year. Big Wave Tour commissioner Peter Mel, alongside the judging panel, allocated today’s conditions a “Silver Rating” with wave faces in the 35-to-45-foot category. Today’s Final opened with an exciting first exchange between tour veteran Carlos Burle (BRA) and newcomer Pedro Calado (BRA), Burle taking the nod and an early lead with a clean lefthander on his backhand and a 6.50. Nic Lamb (USA) followed in dramatic fashion with two of the most horrific wipeouts seen all all season. 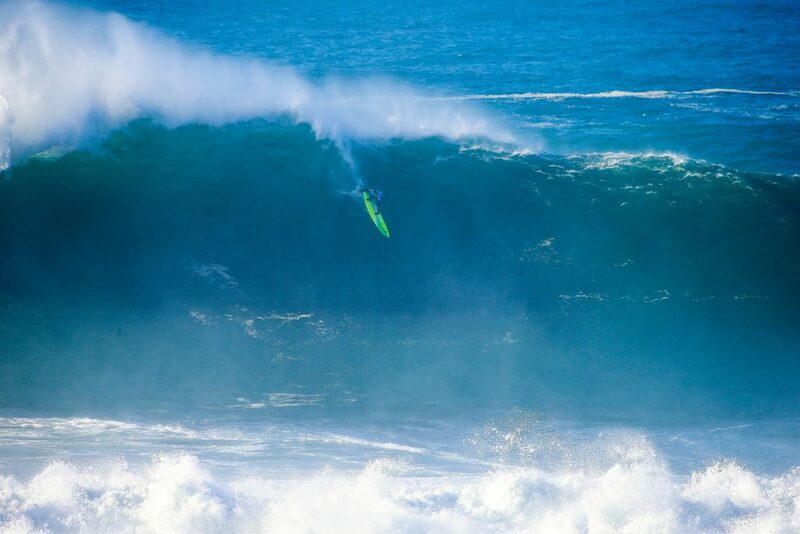 Local wildcard Joao De Macedo (PRT) struggled as well, air-dropping unsuccessfully into a monstrous set wave. Halfway through the Final, Jamie Mitchell (AUS) committed to an incredibly late drop on a lefthander, grabbing the rail of his board to engage into a bottom turn before being eaten by the mountain of white water behind him. Mitchell later surfaced with his equipment and was rewarded an excellent 8.67 for his effort, stealing the lead from Burle. The Australian quickly put a second score on the board to cement his lead and hold throughout the remainder of the Final. Making waves among the big wave community were local wildcards today, with Portugal’s Joao De Macedo and Antonio Silva reaching the final in Nazare. 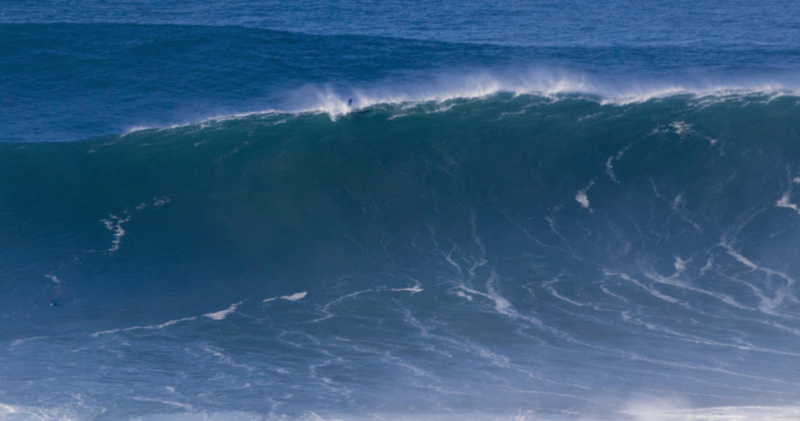 De Macedo was the giant killer of this event, eliminating reigning Big Wave Tour Champion Greg Long (USA) in the first round, as well as current BWT leader Grant Baker (ZAF) and Aaron Gold (HAW) in the semis. De Macedo’s amazing run culminated with a third place in the final. Recent winner of the Pe’ahi Challenge, Billy Kemper (HAW) suffered a shock elimination in the opening round of competition, narrowly defeated by local wildcard Silva in a tight battle for third place alongside Kai Lenny (HAW). 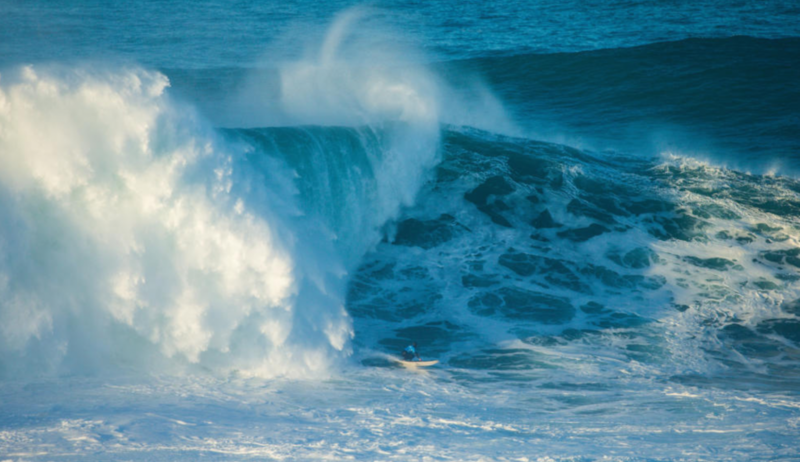 One event in the Northern hemisphere remains scheduled for the season, the Todos Santos Challenge in Mexico, and could potentially run before the season ends on February 28, 2017.